need a color not listed or tell us about your product? No! YES! 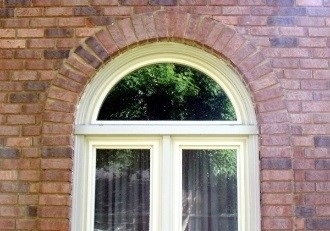 Aluminum Half Round Window Trim arched to fit your round top window. And we color match the aluminum trim. Metal window trim is hard to find, especially aluminum. So, when your contractor says "No. That window cannot be wrapped. You have to paint it," WE SAY YES IT CAN. It only takes 5 measures to produce this brick mold style aluminum trim. And the color is as easy as reading it off your installer's coil box. 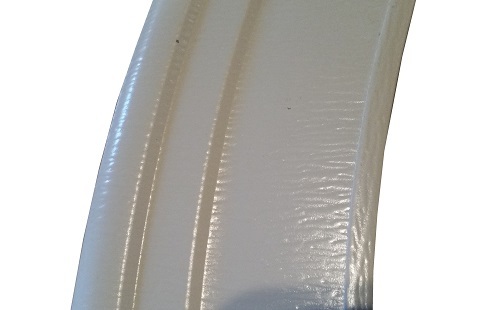 This arched window trim is called striated because it is run through a roll form to add striations to match brick mold and your installer's brake buddy. Curved, arched, aluminum, rounded trim for your half moon windows. Order the trim size for your window trim. All half round window trims are manufactured for your trim exterior measures.